Starting the New Year with a BANG! 48 hour $60 GIVEAWAY! Amazon or Paypal! Have you signed up for SuperPoints yet? Need information? ~~GIVEAWAY~~ COOK’N Recipe Organizer Software! ($79.95 Value) Ends 1/6!!! 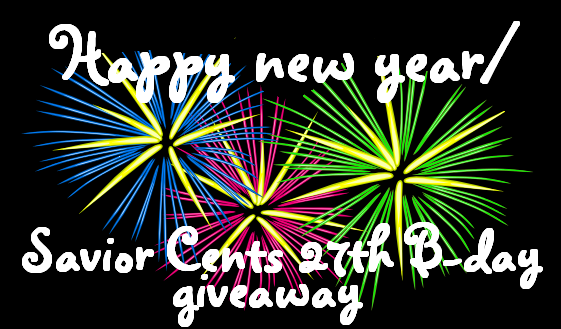 New Years Eve/ Savior Cents 27th B-day Giveaway!